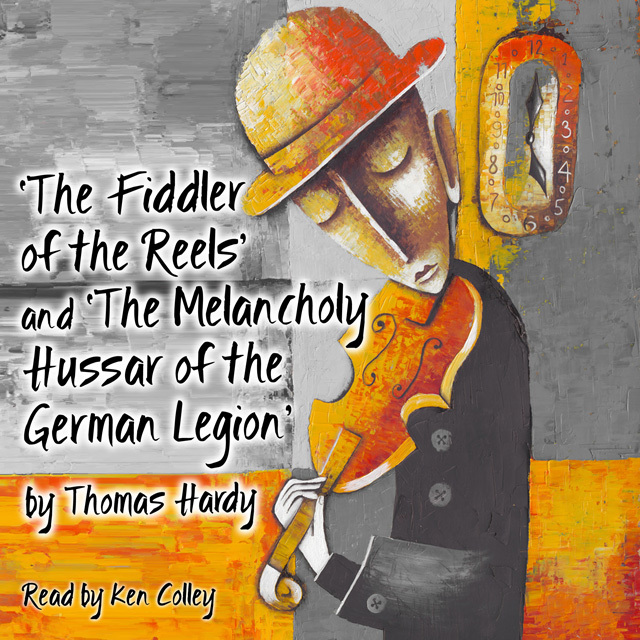 Title "The Fiddler of the Reels" and "The Melancholy Hussar of the German Legion"
The Fiddler of the Reels: "Wat Ollamoor - if that were his real name... was a woman's man." Occasionally, his dexterous expertise on the fiddle produced a "...moving effect upon the souls of grown-up persons, especially young women of fragile and responsive organization. Such an one was Car'line Aspent.... Though she was already engaged to be married before she met him, Car'line, of them all, was the most influenced by Mop Ollamoor's heart-stealing melodies...." Published in 1893, The Fiddler of the Reels illustrates Thomas Hardy's compassion and understanding of the frailities and susceptibilities of human nature. The Melancholy Hussar of the German Legion: King George III of England and Hanover has recruited one of the regiments of his German Legion, the York Hussars, to England to join in their mutual fight against Napoleon Bonaparte's French armies. Stationed on the Dorset Downs, Corporal Matthäus Tina, of the York Hussars, aged 22, is beset by a melancholic homesickness for his native home town of Saarbrück, where his mother still lives. One day, Phyllis Grove, daughter of the local doctor and betrothed to Humphrey Gould, “… was listlessly surveying the pasture without, when her attention was arrested by a solitary figure walking along the path. It was one of the renowned German Hussars.” Their chance encounter was to have a devastating effect on the rest of Phyllis’ life.